When you are tasked with designing, creating, or ordering office door signs for your business, you need to be aware that these need to have a number of features on them. This is because of the set of rules that govern the creation of signs, which is also used to govern the creation and addition of accessibility features for establishments. This is the ADA, which stands for Americans with Disabilities Act, and is a law that states what features and facilities buildings should have that are in line with giving people equal rights. The ADA is used to enforce rules that help everyone gain access to many things, and these include jobs, buildings, facilities, and the like. The rules that are found in the ADA include those that are made for pathways, parking spaces, doors, and yes, even signs. 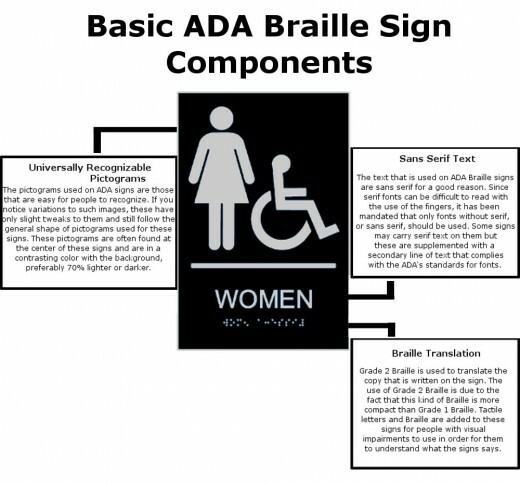 The signs that are used on office doors everywhere in the US need to carry very distinct features that make these readable and understandable by everyone, including those who have visual impairments. What Features Are Required of Such Door Signs? There are many different kinds of door signs used by businesses, and the kinds of features that these signs should carry depend on what each one is used for and where. For instance, if a sign is used on the door of a room that is used for a very specific purpose, and that purpose won’t change anytime soon, then the sign needed for such a room is a permanent room sign. These kinds of signs require a huge number of features to be on these for them to be considered compliant with ADA standards. 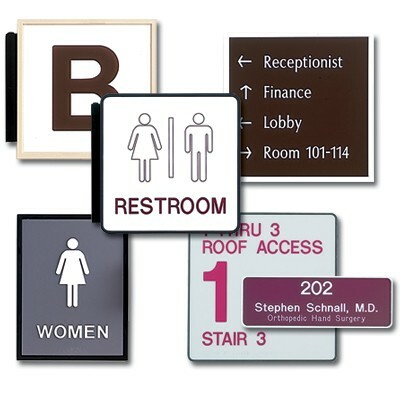 There are other door signs that do not require as many features as those that are used on permanent room door signs. Such signs may carry one or two features that are similar or the same as those that are found on permanent room signs, but not all features. The distinction is in what the room the sign is being used for. If the room will not change functionality in the future, and has features within that make it difficult for it to be used for anything else (think bathrooms, kitchens, closets, etc. ), then it is a permanent type of room. If it is a general space that can be used for anything, then it is not a permanent room. - Raised characters – these include the pictograms used on them, numbers, letters, and even borders that are around the pictograms on such signs. This is to help people with visual impairments to read these characters with their fingertips easily and without having to misunderstand what is on them. - Braille translations – the use of braille on these signs is to give those who do not know how standard letters and numbers look, and can only understand written words and such in this medium. There is also a rule that states only Grade 2 Braille should be used, since this is easier to read and won’t eat up a lot of space due to its compressed form. - Sans Serif fonts – serif fonts have an extra artistic flourish that can make reading words from a distance somewhat challenging for those who have visual impairments. The additional stroke that are used on serif fonts for artistic purposes make certain letters look like others, making the text on these signs somewhat confusing to read and understand. The use of the simpler sans serif font is to make the text on these signs less confusing to read and more straightforward. - Non glare and non-gloss finish – the need for a non-glare and non-gloss finish on these signs, as well as other door signs that are used by businesses everywhere, is for the sake of being able to read signs without squinting. When you use materials that are rather glossy or reflective, chances are, when light strikes these, you will have to come closer to see what these signs are saying or you have to squint to understand what is on them. 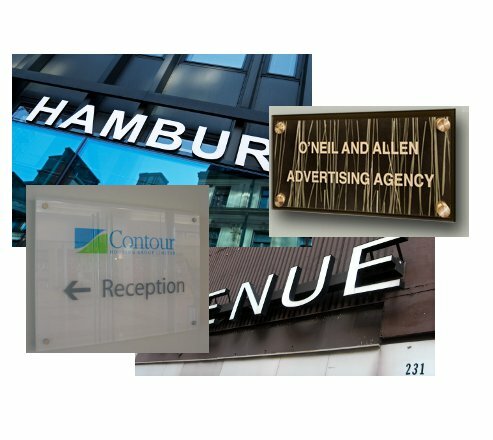 The use of non-glare materials and non-gloss finishes will remove the reflectivity of such signs, making these easier to read from any distance.